Looking for a cool modern sofa bed is not easy task. There is so much to look through, especially over the internet, and so much confusion about costs and quality. We are specialized in Italian top quality modern sofa beds which are the best you could find on the market, designed in Italy and manufactured in Italy. Sofa beds might look all the same but just really looking at one you can tell the difference, oh well, after more than 20 years in the business, at least we can! There are so many details making the difference in the cost of a modern sofa bed, starting from the core, the sofa bed mechanism. Here we wrapped around 11 of the best features you could find while selecting our Italian made designer sofa beds and we are sure you will like if not all, some of them ! 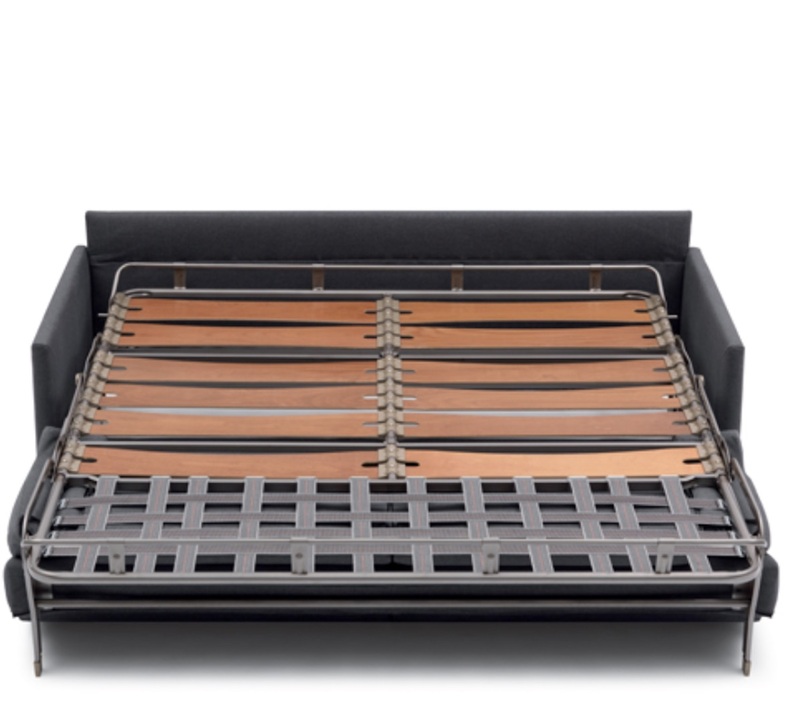 Our modern sofa beds are available in multiple sizes in sectional or standard sofa layouts. Start from one simple armchair which becomes a single bed or choose a two or three seats sofa bed which converts into a queen or king size mattress. If you have the space, add an ottoman with storage or create a large compositions or L shapes with chaise lounges featuring storage space or end elements to maximize the seating space. You can even create corner compositions. 5) ESSENTIAL STORAGE | Hide it in the pockets ! Keep your room neat and mess free and store pillows and sheets in the two hidden pockets which are located behind the back (on selected models) Have your sofa bed ready in no time and keep everything in order. Sometimes you just really need that comfortable queen size bed for your in laws visits but you really lack the space. There are different ways to save space and still creation a lovely modern room ready to convert into bedroom. Our sofa beds are also available with narrowest armrests while still boosting queen size mattresses so you can save those extra 7 or 10 inches that you still don't have! Don't have to compromise a large queen bed or even having armrests on both sides, you can have them all by simply choosing the narrow armrests option. If you are really tight on the space, your studio doesn't leave too many option on a 10 x 11 room, you need to fill that small wall or need to decorate a den room why not considering our armless sofa beds? Exactly like a standard sofa bed but without arms so you can really shrink that size and keep a full or queen size convertible bed option. Naturally all of the side will be finished and refined with your chosen fabric. How clever is that? Space saving details which are extremely useful in smaller areas. 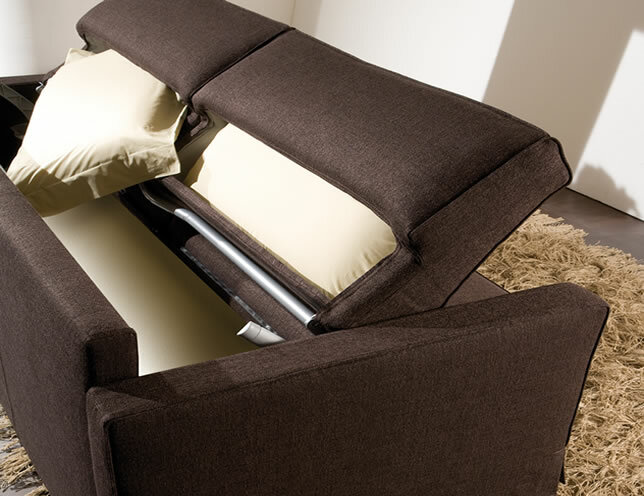 Our Italian sofa beds are made with a completely removable cover. The cover is fix on the sofa through a Velcro system so easy and convenient to remove for dry cleaning. Moving or changing your room decor? No problem you can pick a brand new cover in a fabric from our modern collection and you will receive the new cover at home ready to be put on. 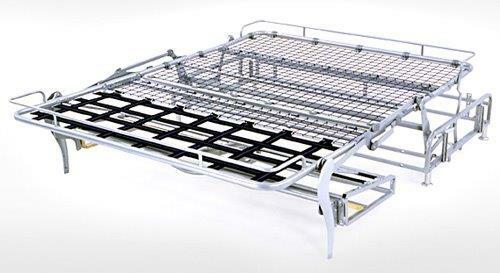 You will be amazed, having a new cover is like having a new sofa bed! Our modern Italian sofa beds can be completely disassembled for easy moving. Need to move? want to place your sofa bed in a different rooms? 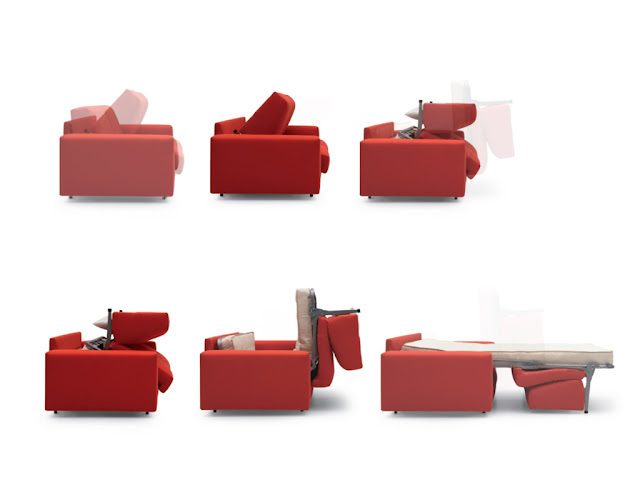 Start by taking off the armrests, then the back, the front foot panel and unzip cushions so that you can easily move it and then reassembled it in no time. You might start with a single bed or you can pick sofa beds models featuring twin, full, queen or even king size mattresses. You might choose between pocketed spring mattresses or polyurethane foam mattresses, some also featuring natural latex mattresses. 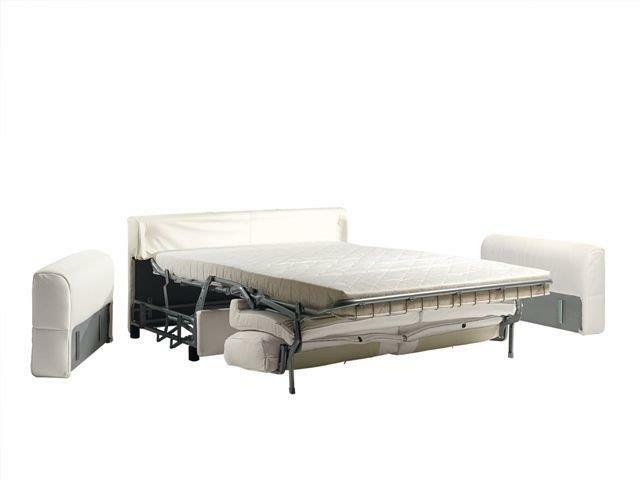 Different high quality mattresses for different needs. Choose between a wide selection of modern colors and textures of fabrics. Our selection ranges from full cotton to mix materials, textured fabrics to smooth and plain bold color ones, suede and velvet or linen? For a luxury add on our modern sofa beds are also available in a soft full grain Italian leather available in more than 30 different colors. You will most certainly find the right hue to match with your modern home decor. Momentoitalia imports high end modern Italian furniture, specialized in high end designer bedroom and living room furniture. Browse our website at http://www.momentoitalia.com/ to discover top quality Italian sofas and sectional sofas, modern sofa beds, space saving furniture and bedroom furniture. بالرياض فقد وجدت ضالتك نحن نعتبر الشركة الأفضل فى مجال نقل العفش والأثاث فى المملكة العربية السعودية لما لنا من خبرة تميزنا عن أى شركة إخرى فى هذا المجال نعمل دائماً على تقديم أفضل جودة خدمة لعملائنا الكرام وهذا ما يشهد عليه عملائنا بأنفسهم ونحرص أيضاً على إستخدام أفضل الأليات والمعدات فى نقل العفش مما يضمن سلامته وسرعة إنجاز المهمة"
من أهم الخدمات التى يطلبها عملائنا فى الرياض والمملكة العربية السعودية هى خدمة غسيل وتنظيف الخزانات حيث تعتبر هذه الخدمة خدمة أساسية فالجميع يبحث عن مياه نظيفة وخالية من الشوائب والصدئ والمواد الكربونية التى تتسبب تلويث المياه وقد تكون سبب لا قدر الله فى نقل الأمراض عن طريق المياه الملوثة والتى نعمل نحن على تنقيتها وتصفيتها من أى مواد قد تسبب تلوث أو تعكير لصفوها ."